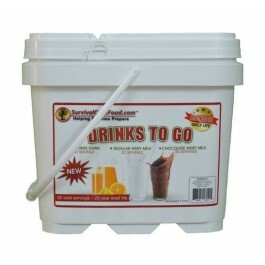 Drink Bucket 80 servings of drinks, 20 regular whey milk, 20 chocolate whey milk & 40 servings of orange drinks packaged for long term food storage and delivered in a convenient plastic bucket for easy storage. 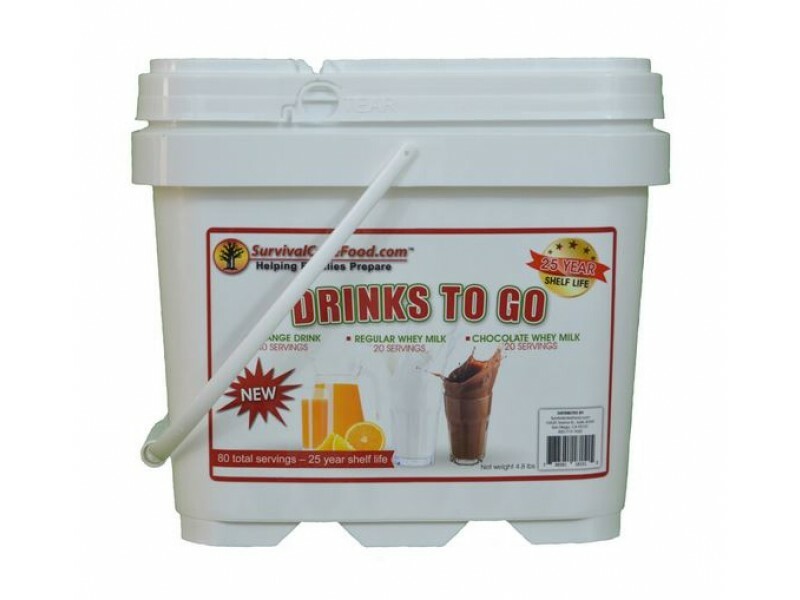 Drink Bucket 80 servings of drinks, 20 regular whey milk, 20 chocolate whey milk & 40 servings of orange drinks packaged for long term food storage and delivered in a convenient plastic bucket for easy storage. 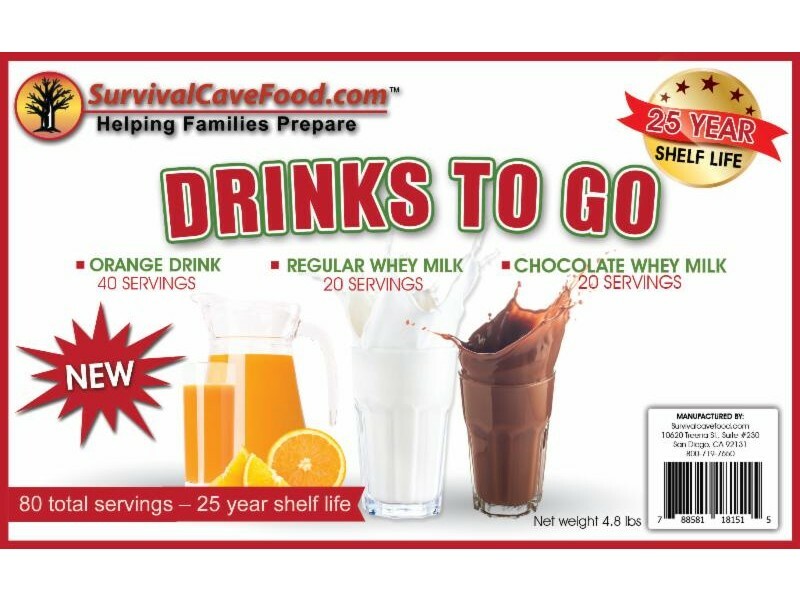 This drink combo food storage package is designed to meet your emergency food storage needs by supplying you with a delicious combination of vitamin packed regular whey milk, chocolate whey milk and satisfying orange drink. Each drink variety is packaged in special poly-metalized pouches and vacuum sealed with an oxygen absorber enclosed. All of these drinks are packed under the highest standards and will stay fresh and be ready for use for up to 25 years.